The bimonthly Traction magazine is completely dedicated to the fascinating world of historical era of steam, diesel and electric engine. For many railway enthusiasts, the historical era of diesel or steam engines still holds alot attraction and importance and they want to know more and more about these powerful engines and their working. To efficiently cater to such passionate train lovers, the Traction magazine has exclusive stories and interviews of the people who have actually driven these locomotives or have worked for its making and maintenance. Former drivers and workers share their magnificent experiences and recall trilling trips and day today experience. These exciting stories provide an excellent reading material for everyone. 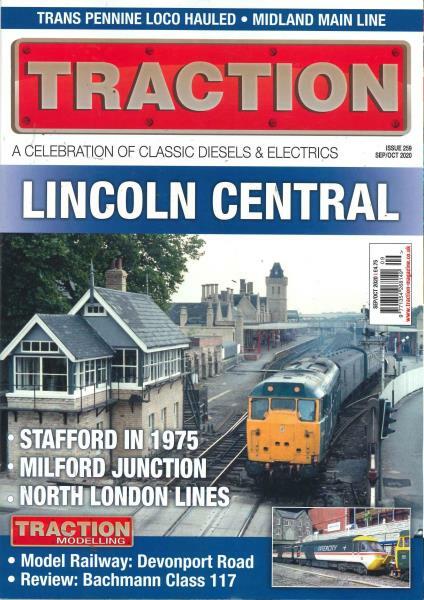 The Traction magazine makes an excellent gift for anyone who is enthusiastic about the vintage engines and railways on their birthdays or Christmas. The treatment of the magazine is kept to be simple yet very effective to draw attention through insightful journals and breathtaking photographs in color as well as black and white. The magazine truly regenerates the magical era of vintage engine as they ruled the tracks through real life stories and pictures. You can get each and every issue of the Traction magazine promptly delivered to your home. You simply can subscribe the magazine and you will never feel out of the action to get regular feeds on your celebrated steam and diesel engines.